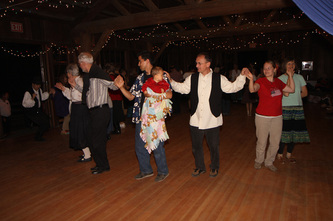 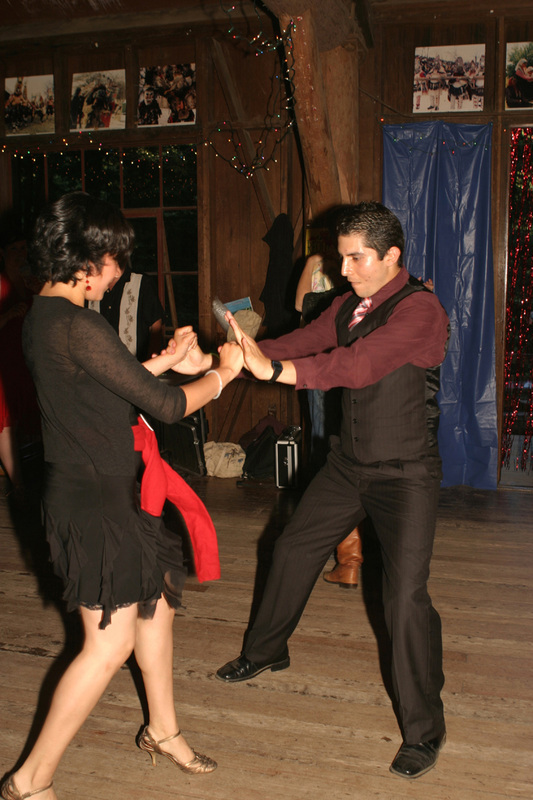 Directly after dinner is a mixed bag of "Culture Corner" Folklore presentations, Group Singing or our special "hour of dance" DJ'd by one of our three featured dance teachers down in the dance hall. 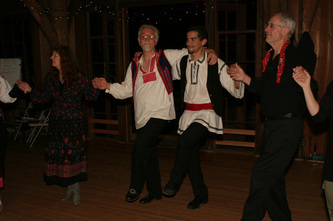 Then at 8:30 p.m. our nightly International Folk Dance Party begins with LIVE MUSIC provided by our tremendously talented and versatile in-house CAMP BAND! 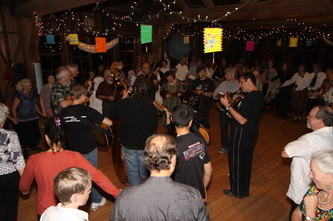 At some point during the evening, the band takes a short break for a new set-up. 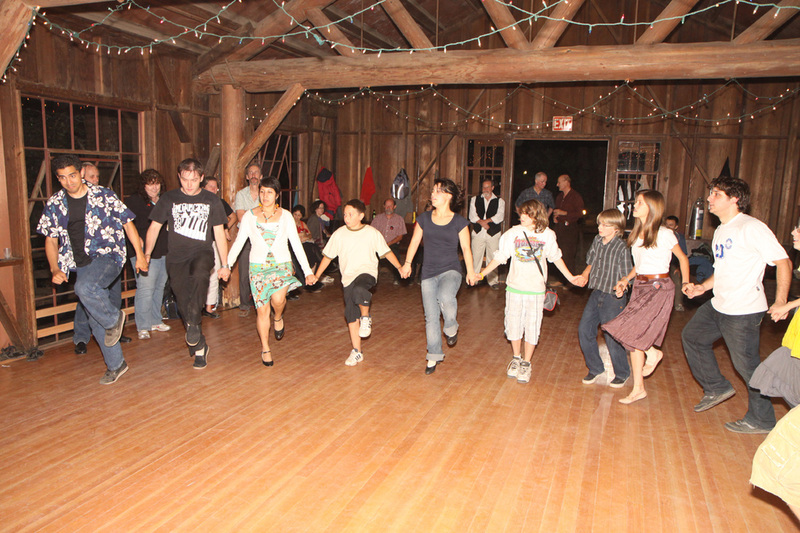 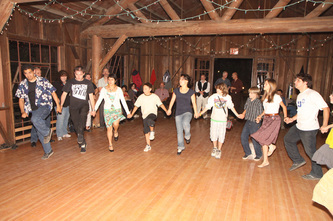 During this time we will play recorded music for dancing from our Camper Requests Board & Teacher Camp Dances List. 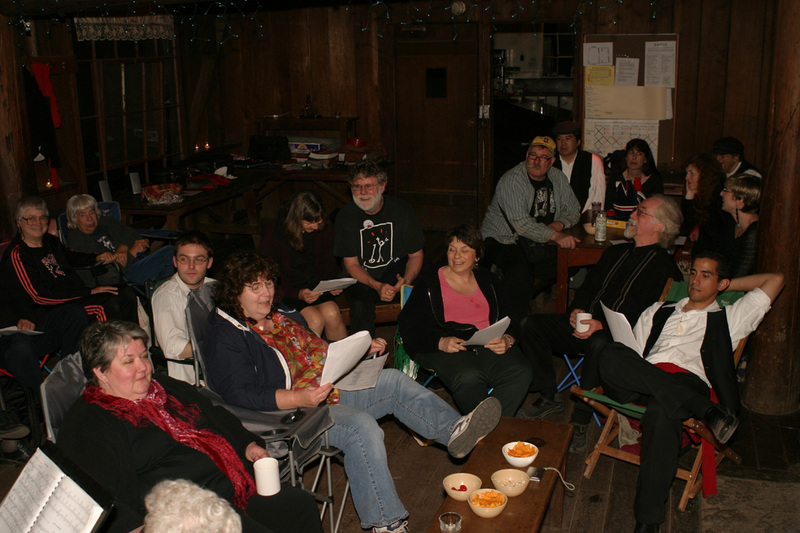 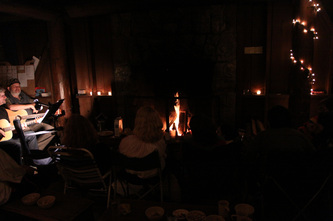 A favorite spot for some after the evening dance has concluded is the comfort of their own bed in their cozy cabin. 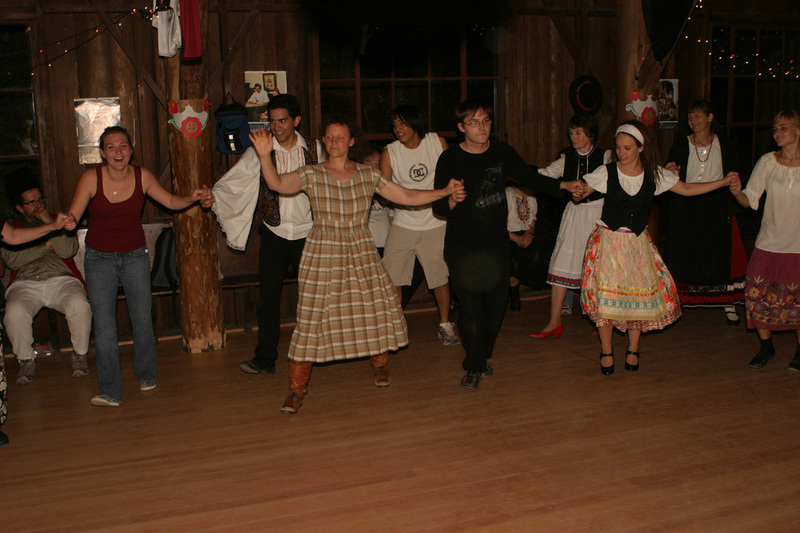 But for others there is music, singing, schmoozing, games and laughter calling them to our late night KAFANA lounge (after-hours chillaxin & cabaret stage). 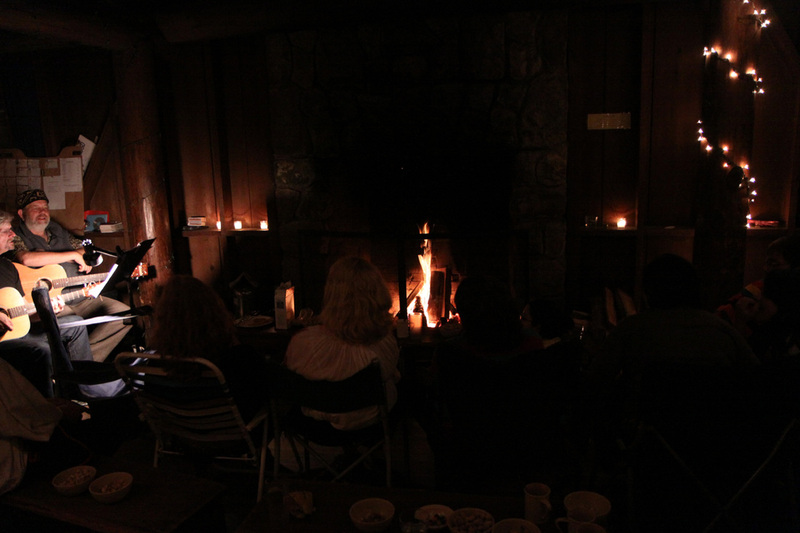 Where impromptu concerts, jam sessions, sing-alongs, card games, stories and dancing go on late into the night. 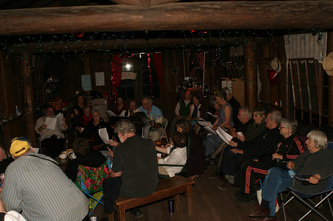 Or.. just stop by the Kafana to listen, unwind and relax a bit before bedtime. 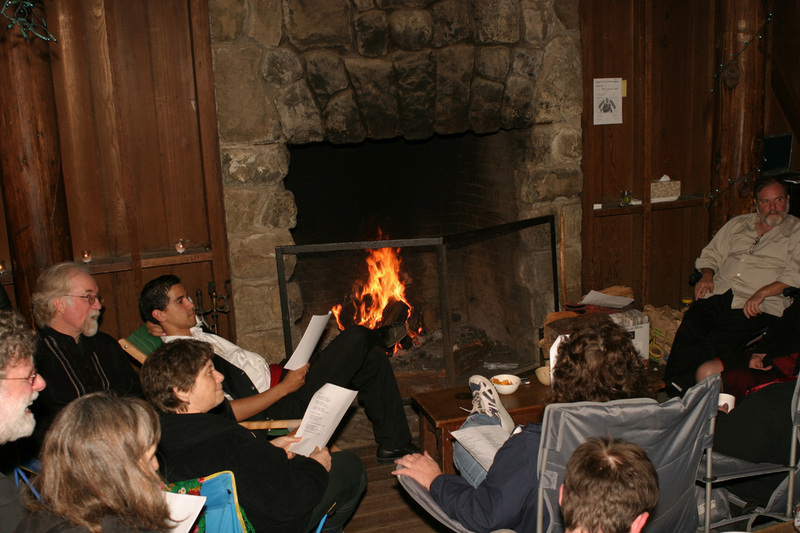 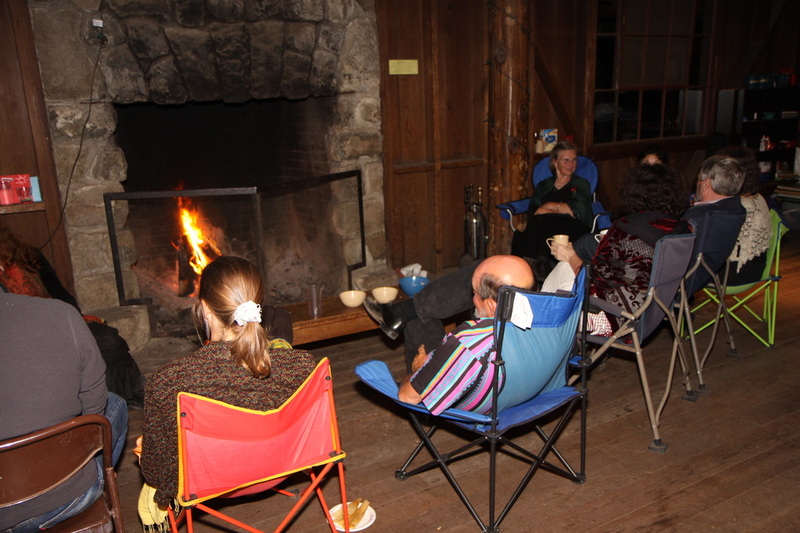 Hanging out late night and sitting by the fire with your feet up is a right of passage at Folklore Camp. It's not to be missed!